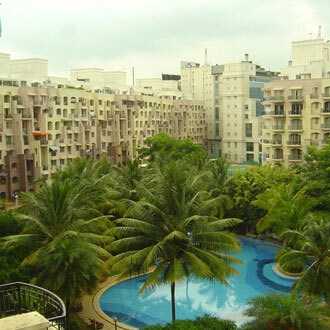 Strategically located, this budget service apartment is located on HAL Airport Road. The service apartment offers 32 spacious rooms, which are tastefully decorated with beautiful wood furniture. One can check the limited refreshment menu, which is available throughout the day or visit the restaurants and pubs located in the neighborhood. Located at a walking distance from Indira Nagar, guests can choose from a plethora of recreational activities the area has to offer. © IndiaHotels.com. All rights reserved.